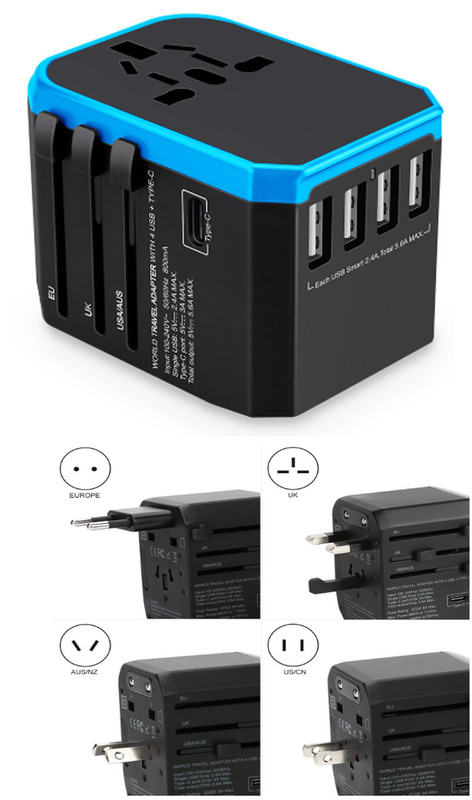 All-in-One World Travel Plug Adapter. Pocket-sized power adapter for go-anywhere convenience. Provides plug adapters for use in more than 150 countries. Easy to use, with slide-out power plugs that ensure you won't lose any vital pieces, in a compact, self-contained unit that eliminates any hassles. This all-in-one plug adapts power outlets for iPhone, iPod, Blackberry, Android phones, laptops, chargers, and similar devices, and features a safety release button and built-in fuse to ensure safe operation.